Most of us experience nosebleeds now and again. Sometimes, they can be a little scary, especially when we don’t know what is causing them. It’s easy to begin envisioning a wide range of problematic health conditions that could be at the root of the nosebleed. But most of the time, a nosebleed is not a cause for alarm — though you may want to see your doctor if they persist or if you are concerned. Here are a few of the common causes and some suggestions on how to stop a nosebleed. The cause of your nosebleed may be as simple as dry air. If you are traveling to a location where the elevation is high and humidity is low, you might experience a nosebleed. Many of us experience them during the winter, as well, because the air tends to be drier at this time of year. Hot, dry air, as you might experience in a desert area, can be the culprit as well. When the air is dry, the lining of the nose can crack and bleed. If you suspect this may be the case, a humidifier can help to prevent future nosebleeds. 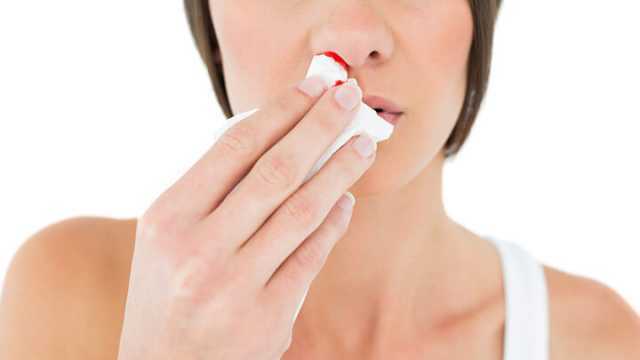 Certain medications may be linked to nosebleeds. Some of these include anti-coagulants, non-steroidal anti-inflammatory drugs (NSAIDs) and even aspirin. 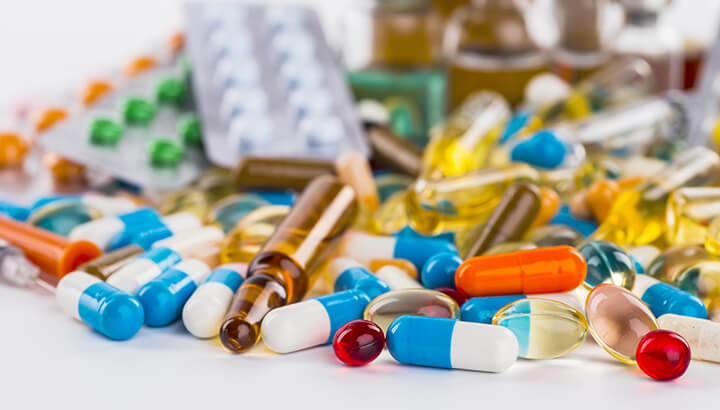 If you are taking any of these medications and experiencing nosebleeds, it’s a good idea to speak with a medical professional. Anti-coagulants can help to prevent serious medical conditions like stroke and heart attack, but because they alter the ability of your blood to clot, they make nosebleeds more likely. Ask your doctor if there might be alternative treatments, or if there are steps you can take to prevent nosebleeds while on the medication. Of course, this includes trauma to the nose, like being hit. It may also include minor traumas, like excessive scratching. And this may be easy to overlook. If you’re absentmindedly scratching your nose, you may not realize that you’ve broken the skin. The subsequent nosebleed then seems like it’s coming out of nowhere and causes concern. If you’re worried about repeated nosebleeds, try to be mindful of these types of habits. Nosebleeds can sometimes be the result of nasal allergies, which irritate the area and lead to excessive nose blowing. This can break the skin and lead to bleeding. However, the good news is, there are a number of natural ways to treat allergies, including raw honey from your local area. Most of the times, nosebleeds are the result of something relatively minor and are not a cause for concern. However, there are less common occasions when nosebleeds can indicate a more serious, underlying health issue. Some of these conditions include certain cancers, as well as leukemia, lymphoma and a blood vessel disorder known as hereditary hemorrhagic telangiectasia. It is a good idea to see a doctor if the nosebleed involves a significant amount of blood, interferes with your breathing, lasts longer than 30 minutes even if you compress it to try to make it stop, or it happens to a child under two years old. However, rest assured that most nosebleeds are not indicators of larger health problems, so there is no need to panic before getting a diagnosis from a doctor. Now that we know a little more about what causes nosebleeds, let’s talk about treatment and prevention. Here are some suggestions on how to treat a nosebleed. This is probably the easiest treatment and is often effective in minor nosebleeds that result from dry air and minor causes. While your first inclination may be to tilt your head back, this can actually cause the blood to run back into the throat and sinuses which can cause gagging. Instead, lean over and slightly tilt your head forward. As unappealing as it may sound, you will want to spit out any blood that collects in your throat or mouth, and gently blow out any blood clots that accumulate in the nose. Pinch off the soft parts of your nose and hold it for five to ten minutes. Inclining the head after this can help to prevent another nosebleed. 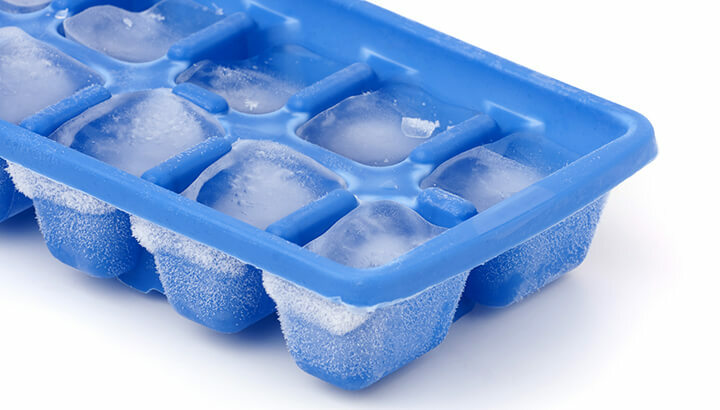 While you are experiencing a nosebleed, apply an ice pack or ice cubes to your nose and cheeks. The cold will restrict the blood vessels, which can help to slow and stop the flow of blood. However, be sure that the ice is wrapped in paper towels or a cloth. Do not apply ice directly to the skin. Nosebleeds may tend to occur more frequently in children. If your child is experiencing a nosebleed, try to sooth and reassure them. Help them to feel more comfortable, so that they are not inclined to cry. Crying increases blood flow to the face and can make a nosebleed worse. As discussed earlier, most nosebleeds can be prevented by being mindful of your habits and environment. Humidifiers can be helpful, as can avoiding excessive scratching and blowing of the nose. If nosebleeds persist after you’ve taken preventive measures, seek the advice of a medical professional. For many of us, when we experience a nosebleed, our minds immediately jump to the worst-case scenario. We imagine cancer or some other serious diagnosis. But the vast majority of the time, this is not the case. Most of the time, nosebleeds are caused by behavioral or environmental factors. The best advice is to not panic and do what you can to treat the nosebleed on your own. If the nosebleed seems abnormal in any way, or if you experience repeated nosebleeds, this is the point at which you will want to consult with a medical professional. Hey Buddy!, I found this information for you: "6 Reasons Why Your Nose Bleeds And How To Stop It The Right Way". Here is the website link: https://www.thealternativedaily.com/how-to-stop-a-nose-bleed/. Thank you.